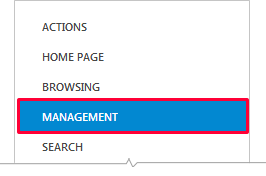 In this tutorial, you will learn how to configure Adaxes Web Interface to display a custom message when changing or resetting passwords. 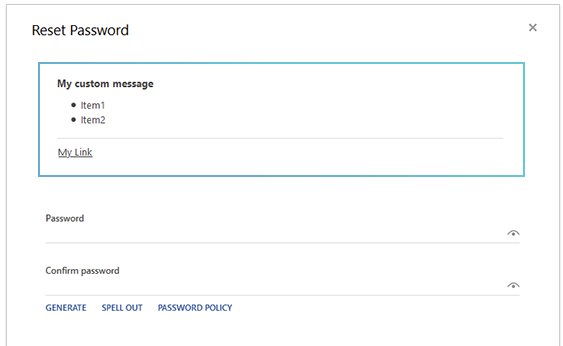 In this message, for example, you can specify password requirements, like minimum length or complexity. 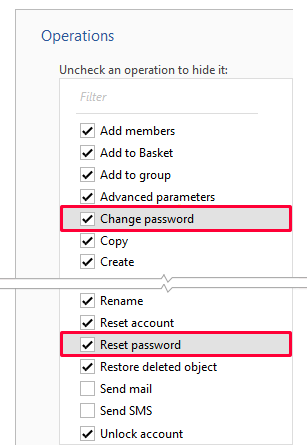 In the Operations section, select Change password or Reset password. 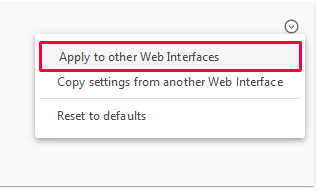 Select Display custom message and enter the text of the message in the edit box below. 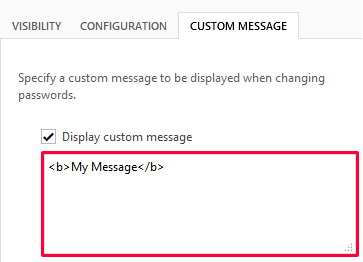 You can use HTML tags in the message text.